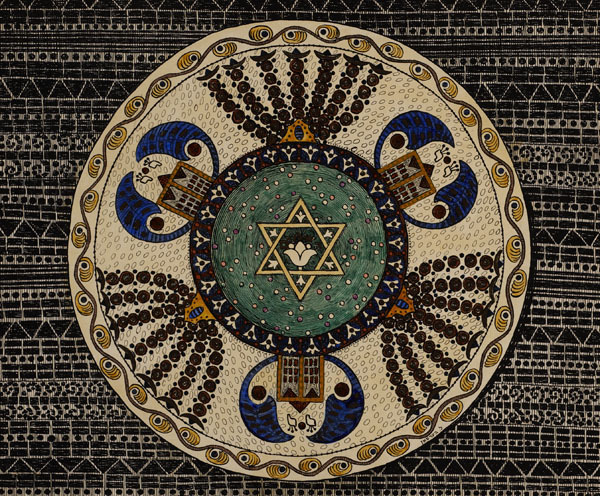 In 1915 Lazar Berson founded 'The Jewish-National Decorative Art Association (London) Ben Ouri', in Whitechapel in London's East End. 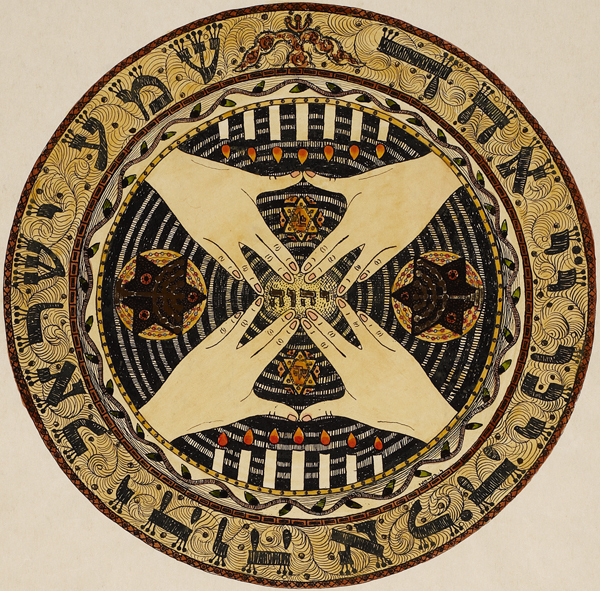 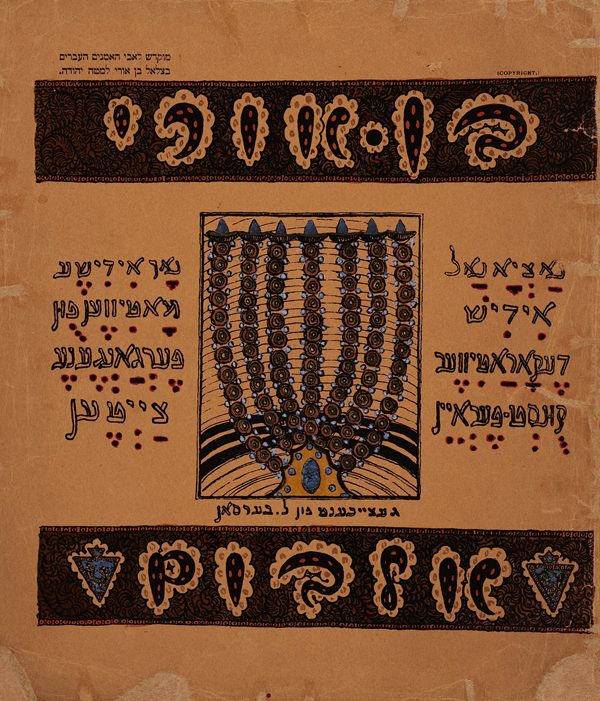 In 'the Ben Uri studio' in West London he brought together a number of Jewish East End artisans who, together with the jeweller Moshe Oved, worked on a series of decorative 'Jewish' designs on wooden plates and bowls. 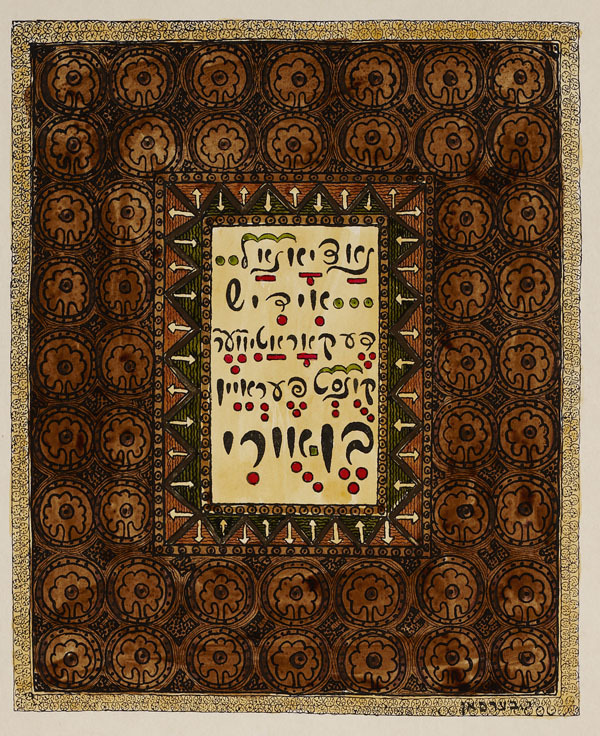 In addition, Berson produced the 'Ben Uri Albom: natsional yidish dekorativer kunst-ferayin, noch yidishe motive fun fargangene tsaytn', comprising an introduction in Yiddish and six plates with reproductions of works by Lazar Berson (with Jewish motifs including the Shema Israel prayer, Menorahs and Stars of David). 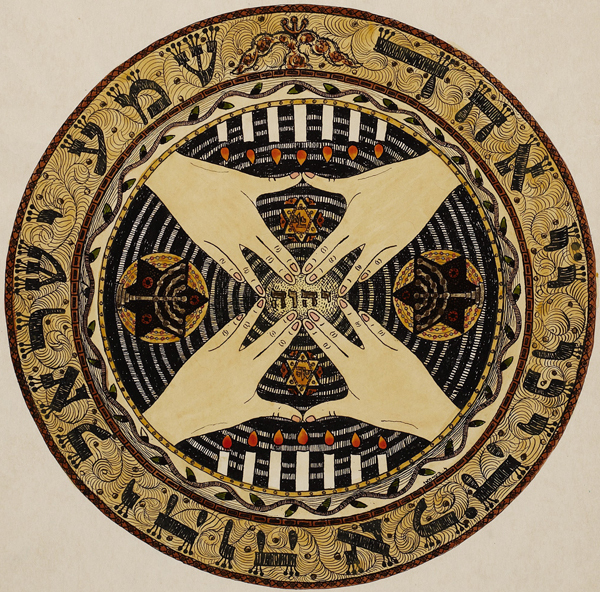 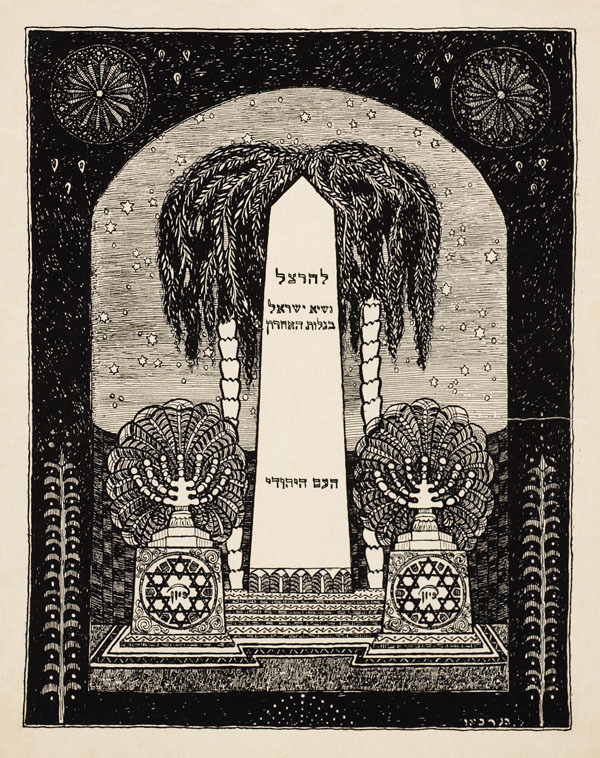 One plate depicts a monument to Theodor Herzl. 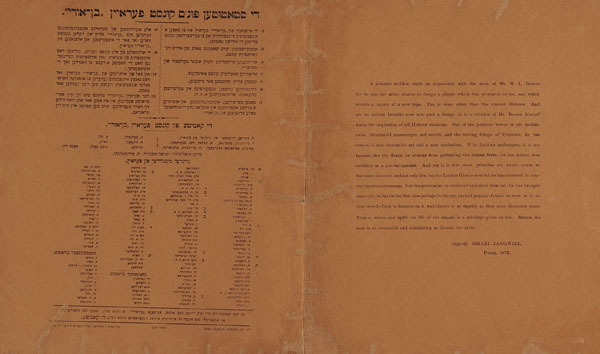 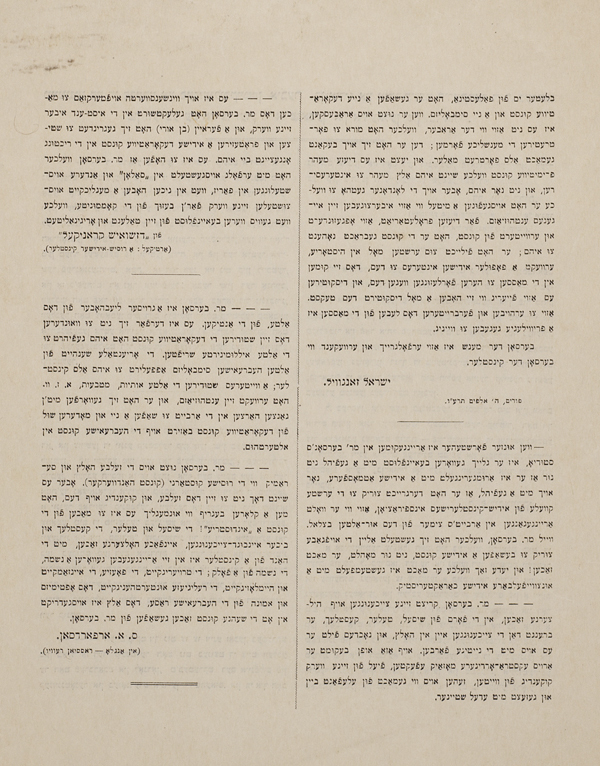 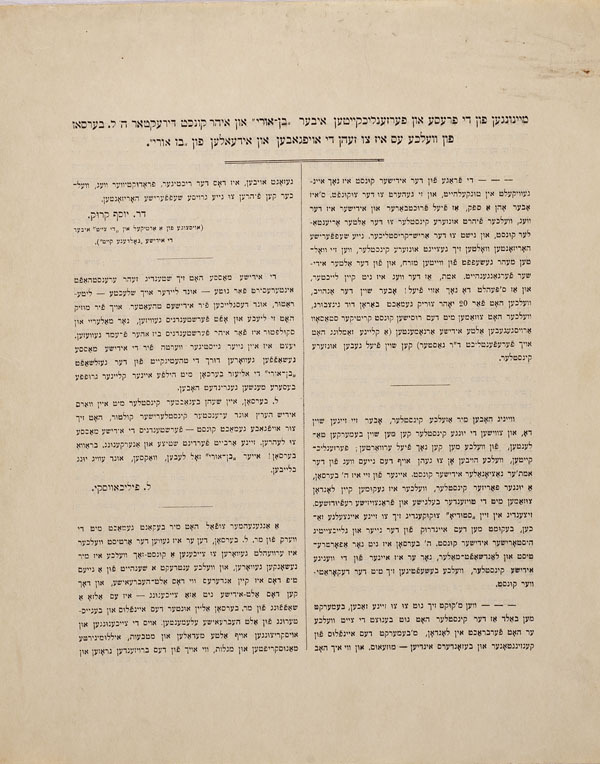 Printed on the cover of the album (a thick paper sheet, folded in half) are words of introduction about Berson by Israel Zangwill (in English) and the Ben Uri regulations (in Yiddish). 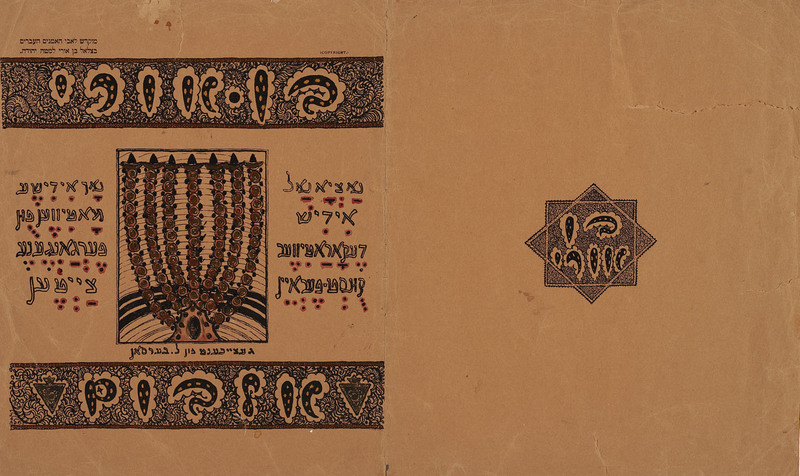 It was printed in 1916 by the Ukrainian-born Hebraist Israel Narodiczky (1874–1942), an East End printer, to raise funds for the Ben Uri gallery.